CBS regularly shares information on progress to stakeholders. This includes the CBS PRME Report related to Principles of Responsible Management Education (PRME). Read the new CBS Report on Progress 2019! Public reporting is the best way to ensure the credibility of the initiative while giving recognition to best performers and best reporting academic institutions. Also, the sharing information of progress (SIP) reports will facilitate an exchange of existing and state-of-the-art experience among the PRME network. Please contact us for a printed version of the report. 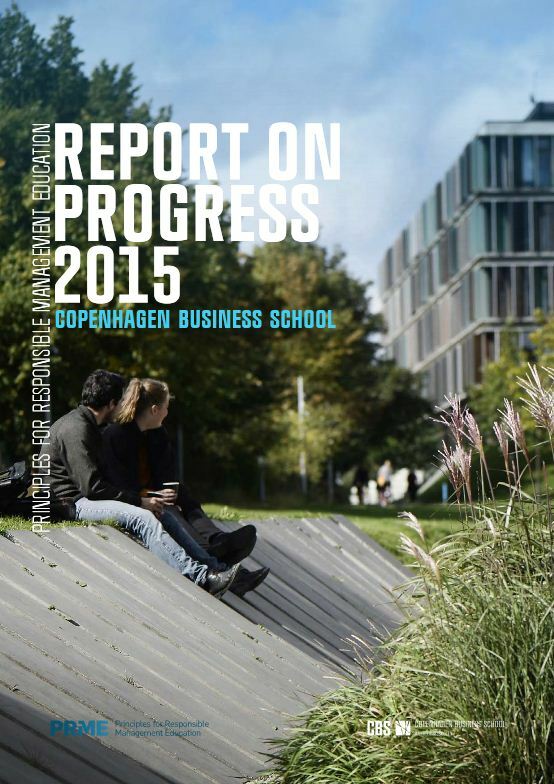 This report covers activities related to Responsible Management Education at CBS in 2013-2014. 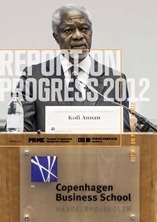 Download CBS Report on Progress 2012 (pdf). This report covers activities related to Responsible Management Education at CBS in 2011-2012. "...With the ambitious objectives, and even more important, the transparent and thorough reporting, CBS’s 2012 Sharing Information on Progress report is a pioneering example and can serve as inspiration for other academic institutions” Jonas Haertle, Head of PRME Secretariat UN Global Compact Office. Download CBS Report on Progress 2010 (pdf). 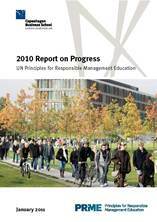 This report covers activities related to Responsible Management Education at CBS in 2009-2010. 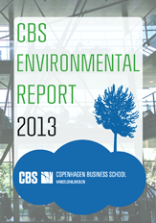 CBS Environmental Report 2013 (pdf). The purpose of this report is to ascertain CBS' impact on the environment and especially the CO2 equivalents (CO2e) emissions, caused by CBS. 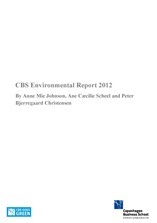 CBS Environmental Report 2012 (pdf). The book was released at the 2013 PRME Summit in Bled, Slovenia in September 2013 and represents the work of 25 business schools implementing PRME's work. 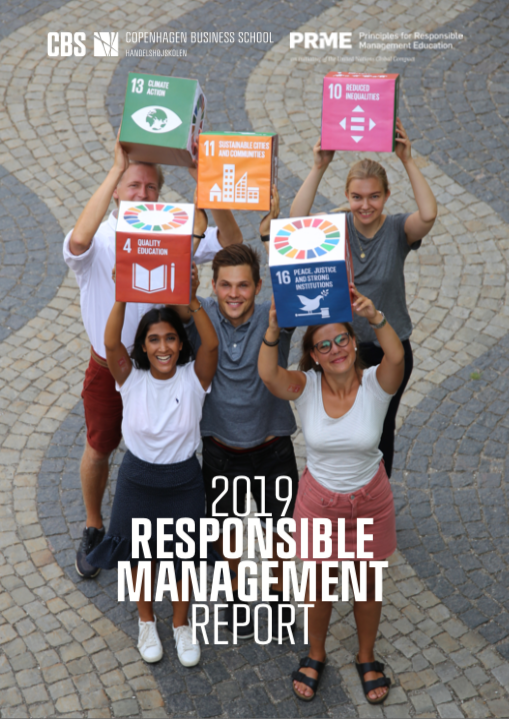 Copenhagen Business School has contributed with the best practise example: Responsibility Day: A tool for setting expectations of incoming first-year bachelor students (pdf). The guide was presented at the 3rd PRME Global Forum in Rio de Janeiro in June 2012 and later published. It intends to answer the most frequently asked questions concerning the implementation of PRME by highlighting real world examples of the principles in practice. Copenhagen Business School has contributed with best practise examples on how to get started with implementing the principles (pdf) and successful strategies for curriculum change (pdf).